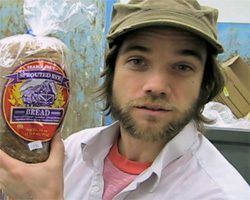 A film about food waste is catching attention and awards at independent film festivals across the country. The film’s called “Dive!,” and reviewers are shocked by the film’s statistics about how much edible food that grocery stores toss into dumpsters. Shawn Allee reports the reviewers are also enthralled by the filmmaker’s personal story about diving after that food. Jeremy Seifert didn’t start dumpster diving to make a film. A few years ago, friends turned him onto it. One morning, they surprised him with bags of food pulled from a dumpster. Seifert says he dumpster dived for kicks, but that changed. Seifert is a filmmaker by trade, and he got a filming assignment at a refugee camp in Uganda. The kids in the camp had hardly any food. Seifert’s film picks up after his dumpster diving takes this kind of political turn. It’s not for kicks anymore; he wants to show our food waste problem is so bad, that his family could practically live off food from grocery stores dumpsters. He gets advice from experienced divers. But, Seifert runs into trouble with this rule. “I’m tired of it, there’s too much. I only took this much because there’s so much going to waste. It’s almost two in the morning, and I don’t have anywhere to put it, really. Guilt wasn’t his only problem. His wife, Jen, explains a practical one. Seifert tells me that this scene at the breakfast table haunted him, because maybe he was setting a bad example for his son. Well, Seifert’s had to keep thinking about food. 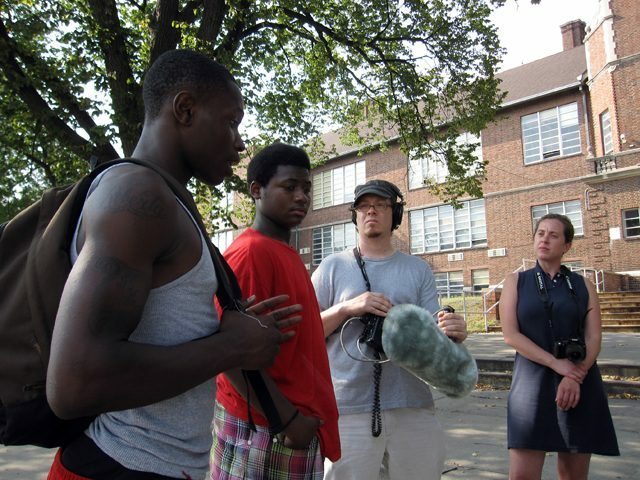 His film’s at festivals, and he helps activists get grocery stores to donate to food banks. But things have changed at Seifert’s house. He doesn’t dumpster dive so much – instead, he’s started a garden. That way, his boy can really value what makes it to the dinner table. gas contributing to climate change. Courtright is monitoring those tests. Hank Courtright: We think it has great progress, it’s really the second step of a multi-step process that we’re doing. We had just concluded a project up in Wisconsin on a smaller scale, the same type of technology, and it was very successful. It capture 90-plus percent of the CO2 that passed through it and saw some great promises as far as reducing the cost of doing it. The idea here is that we’re scaling it up ten times larger at the mountaineer plant and so far the early results seem very good and we’ll continue to test that over a year plus to see how it does produce. Lester Graham: I understand it takes a lot more energy to run this extra CO2 capture equipment, as much as 30% more coal has to be burned to generate the same amount of electricity, what’s being called a parasitic load. What’s this going to mean for our power bills? Hank: Well, what we’re trying to Lester is that the parasitic load gets down into the, let’s say, the 10 to 15% range. If you get to that level, it means that the electricity out of a coal plant might be about 25% higher than it is. But right now coal is basically the cheapest form of producing electricity, so it still ends as being an economical option even if you might be increasing the cost of that coal plant by about 25%. Lester: If they can accomplish that with this experiment, how long will it take to get this technology built into the bulk of coal burning power plants? Hank: Well, you’re going to be working over this for several decades, really. 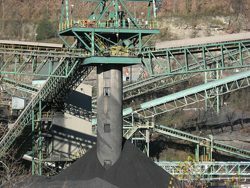 If this plant at Mountaineer works well, our thinking is around 2020 you’re going to be able to have most new coal power plants use the carbon capture and storage. And you might be able to retrofit about 20%, 25% of the existing plants in the United States with this type of technology. Lester: If all of these methods fizzle, we can’t capture carbon economically, or at the other end, we can’t find a way to sequester this carbon underground, or whatever type of method they can come up with, what’s next? Hank: Well, that causes some difficulties because right here in the United States coal is used to produce about half our electricity. And if it doesn’t work on coal, it’s also the issue that it won’t work on any other fossil fuels such as natural gas, which produces about 20% of our electricity. So you’re into a difficult situation that if you’d wanted to significantly reduce the CO2 emissions to improve the climate change issue, then you’d have to be looking at a combination of probably nuclear power and a very large roll out of renewable energy. Both of those would have to take the lion share of electricity production. But our hope is that we can get this working because it is not only here in the US that you need it on fossil fuels of coal and gas, but also in places like China, Russia, India, Australia, country’s that very large reserves of coal and hope to use those natural resources. way of doing business is changing. In a huge industrial building in Seattle, forklift-loads of TVs and computer monitors are heaved onto conveyor belts. Workers go at them with screwguns and hammers. Craig Lorch is co-owner here at Total Reclaim. 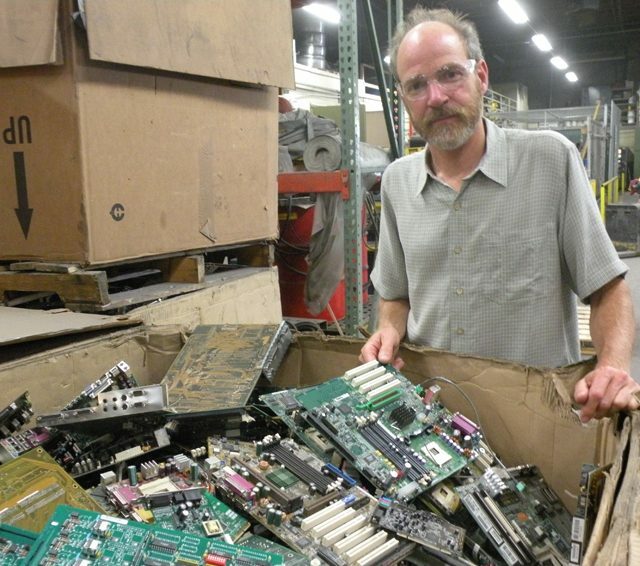 His company is certified to recycle electronic waste under Washington’s e-waste law. The law requires that these old machines don’t end up being dumped, where their toxic chemicals can poison humans and the environment. Recycling old electronics has been happening for years. John Friedrick explains what’s new about Washington’s e-waste law. Friedrick runs the state-wide recycling program that’s fully paid for by electronics manufacturers. It started just a year ago, and already it’s collected more than 38 million pounds of e-junk, costing producers nearly 10 million dollars. Basically, it requires electronics companies to cover the end-of-life costs of the products they sell. That concept – called extended producer responsibility – is new in the US. When Washington’s e-waste law was passed three years ago, it was the first to put full responsibility on manufacturers. But this isn’t a new idea in Europe. Klaus Koegler is with the European Commission’s Directorate General for the Environment in Brussels. He tells me about a keystone of EU environmental policy – what’s called the “Polluter Pays” principle. Koegler says that gives regulators the muscle for a range of laws. One example: any car sold in the EU has to be 85% recyclable. Koegler says that creates an incentive. And a product that’s easy and cheap to recycle is likely to be easier on the planet, too. Europeans also see making manufacturers take back and recycle their old products as a way to reclaim resources. For instance, nickel and other metals are becoming more scarce and expensive. So, the EU is moving toward setting even more ambitious goals for recycling. 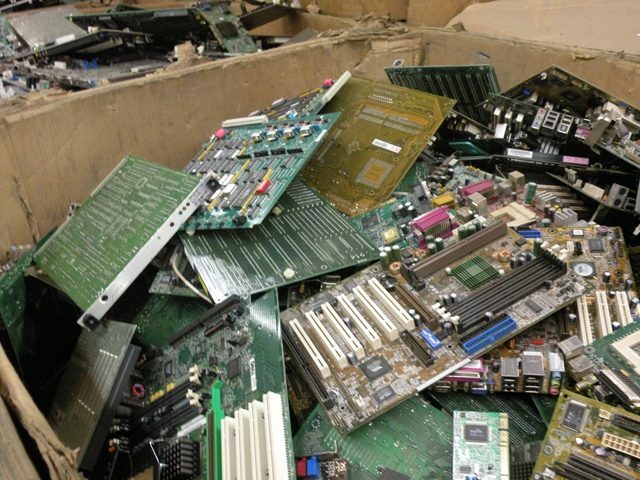 In the US, Wisconsin recently became the 20th state to pass a take-back law for electronics. States are also extending producer responsibility to other products – including batteries, fluorescent lamps and paint. Now, the electronics industry is pushing back. Two major industry groups have filed a lawsuit against the e-waste law in New York City. They say it’s unconstitutional. Environmental activists see the suit as an attack on the whole concept of producer responsibility. But Rick Goss with the Information Technology Industry Council insists it’s not. Still, the suit makes constitutional arguments that could be used to challenge the right of states to impose recycling requirements on manufacturers. For The Environment Report, I’m Liam Moriarty. else just adds to the confusion. Julia Weinert and her boyfriend like the idea of making their place nice, but even something as simple as painting causes concerns. So, none of the really strong paint smells that mean polluting chemicals are being released. 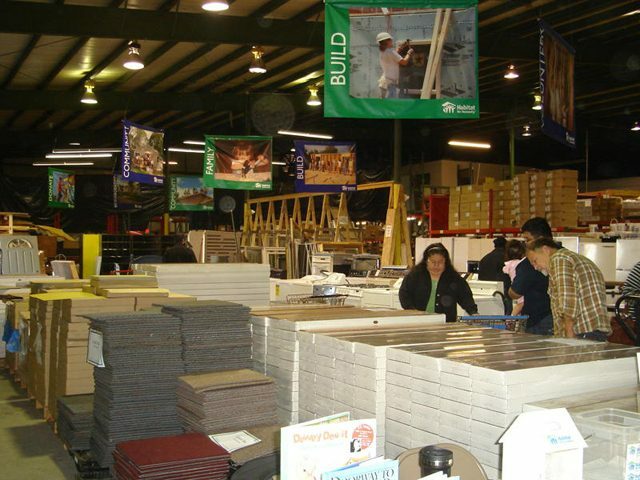 GREENGUARD Environmental Institute sets indoor air standards for products and buildings. Julia and I sniffed a can of paint WITH the GREENGUARD label, and then one without. A gallon of paint with the GREENGUARD label DOES cost a few dollars more, maybe as much as ten bucks. Matt then herded us to another part of the store, the plumbing section, where Julia and I were confronted by all kinds of shiny chrome and brass faucets. WaterSense means the fixture – whether a faucet, shower head or toilet – will use less water but still works well. As we wandered over to the lumber section of the store, Matt told us the last label he wanted to show us is the most ignored label – and it might just be the most important one. So, labels. Julia says, works for her. LG: “That’s Matt Grocoff, Greenovation.TV. Thanks again, Matt. For The Environemnt Report, I’m Lester Graham. 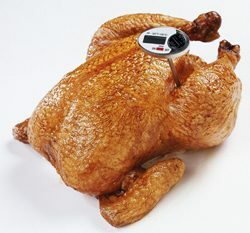 Consumer Reports bought whole chickens from 100 different stores. Dr. Urvashi Rangan says they tested them for two different strains of bacteria. Two-thirds of the chickens they tested were tainted. Rangan says the U.S. government’s guidelines are pretty loose for the chicken processors. The chickens that were cleanest were organic air-chilled chickens. The Consumer Report’s study is available online and will be published in the January issue of the magazine. It seems like my friend Matt Grocoff with Greenovation TV is always working on a home improvement project. Not too long ago, he asked me to go with him to his favorite store. So we headed down the road where all the big box home improvement stores are in his hometown of Ann Arbor, Michigan, but that’s not where we ended up. Matt turned to Jackie Hermann who manages this ReStore. And she pulled a case from the shelf in back. Okay, so Matt got a good deal and it extends the useful life of a pretty good tool. But the idea is to raise money for Habitat for Humanity to help get people into homes, so I had to ask Jackie about that. There are about 600 of these ReStores across the nation. The administrative overhead varies a bit from store to store, but the money raised at each store goes to homes in that store’s local area. Jackie says, for her area, that’s meant a bit of a shift for Habitat for Humanity. You might have heard, in Michigan there are a lot of foreclosures. And anything left over is sold in the ReStore. 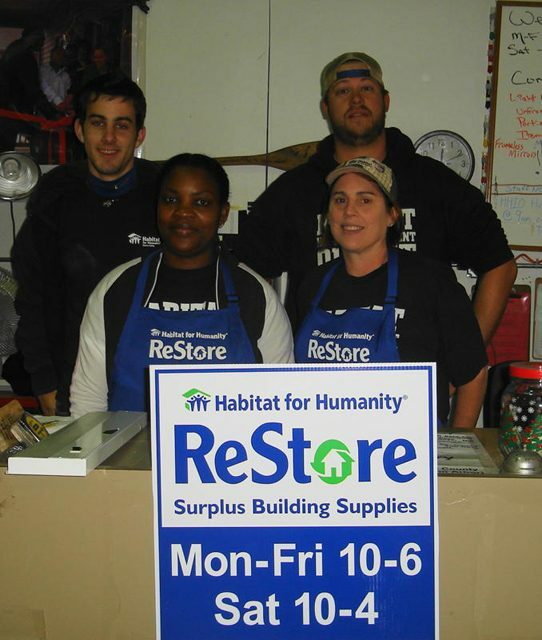 It’s donations that make ReStore work. 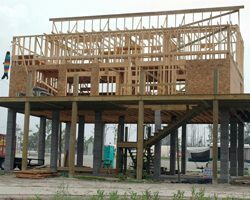 It might be overstock from places like Lowe’s or from local contractors. It could be people who are moving or retiring or just don’t need an appliance any longer. They might have extra cabinets, or carpeting, or a perfectly good sink they don’t need. Some things are used, some are new. It all works. Matt Grocoff with Greenovation.TV says it keeps stuff out of the landfill, it means perfectly good building materials and appliances for home improvement projects, saves resources, and raises money to help people get into a home. So far this year, more than one million toys and kids’ products have been recalled because they contain high levels of lead. That’s actually a big drop from the past two years. The toy industry, government officials, and even environmental groups all say this holiday season is safer. That’s Mike Shriberg. He’s with the Ecology Center. Parents were outraged because lead exposure can cause the loss of IQ points, brain damage and even death. The American Academy of Pediatrics says there is no safe level of lead exposure. But Shriberg says there’s a little good news here. Most toy companies and retailers have heard parents’ demands. Both Walmart and Toys R’ Us responded by email to questions from The Environment Report. 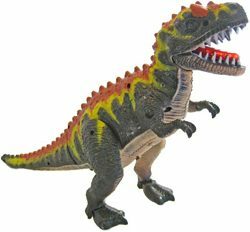 Both retailers say they are thoroughly testing toys, and in some cases, hold their suppliers to stronger standards than the federal law. But Mike Shriberg says the news is not all good. The government’s Consumer Product Safety Commission is in charge of making sure toys are safe. Three billion toys are sold in the US each year. The federal government does not test every kind of toy. Nychelle Fleming is with the commission. She says the commission has a team of people testing toys, and inspectors do random toy checks at ports and retail stores. But she says the commission also relies on toy makers, advocacy groups and even parents to report problems with toys – including lead contamination. The Toy Industry Association says it’s not just the government’s job to make sure toys are safe. It says the industry has undertaken an unprecedented level of inspections and re-inspections to keep lead out of toys. But some shoppers are not getting a clear message about lead in toys. Like these people we caught up with at a Target store. So clearly, not everybody knows what to look for when they’re shopping. Mike Shriberg with the Ecology Center says it really shouldn’t be this hard. Shriberg says, when it comes to lead, you can be a little more confident this holiday season. But he says there’s still no guarantee that all toys will be lead-free. He says you should avoid children’s metal jewelry and toys from vending machines. He says simpler toys, like unpainted wood toys, tend to be the safest choices. to process a few birds at big slaughterhouses. One idea’s to bring the slaughterhouse to the chicken farm. The Whole Foods grocery chain could try out small, mobile slaughtering units next year. It might help Whole Foods offer more locally-raised chicken at its stores, but no one’s sure whether it will work. Economists say the slaughterhouse pinch is a problem for consumers. Wes Jarrell studies farm markets for the University of Illinois. He says locally produced chicken can be pricey because there’s not enough competition in the slaughterhouse business. Jarrell says Whole Foods is not the only group to consider mobile chicken slaughterhouses. He says a few state governments, like Vermont’s, are revving up their own portable slaughterhouses, too. out more about the products they buy. The website is called the Good Guide, and it lets consumers get a pretty in-depth look at more than 60,000 foods and household products. The site ranks products by their impacts on health, the environment, and society. The Good Guide is the brainchild of Dara O’Rourke. He’s a professor of environmental policy at the University of California at Berkley. O’Rourke says consumers don’t have easy access to the information they need to make smart buying decisions. That’s where the Good Guide iphone application comes in. Shoppers can scan barcodes at the store to get instant product information. what’s going to happen to that place? I meet Julia Christensen in Gary, Indiana. She’s here for an art project: She’ll photograph buildings in Gary and ask people how they could be re-used in the future. I’m supposed to be the chauffer. Christensen: We’re going to 5th avenue. Allee: Where is that, exactly? Well, I’ll get to her current project in a sec but with all these wrong turns – I’ve got a chance to ask about her artwork in general. I mean, what’s the point of documenting how people re-use buildings? Christensen’s got plenty of examples. She’s done photo exhibits of buildings in several cities, and she wrote this book called Big Box Reuse. It’s about how people reused buildings abandoned by Wal-Mart, K-Marts and other big retailers. She photographed one big box store that got turned into an indoor go-cart track. Another became a school. And one store turned into a museum dedicated to the canned meat, SPAM. Christensen says the point is that when big box stores get abandoned, they’re often a blight – kinda like one-building ghost-towns with enormous parking lots. She found people assumed they were the only ones facing this problem. Christensen says she’s got a new art project. 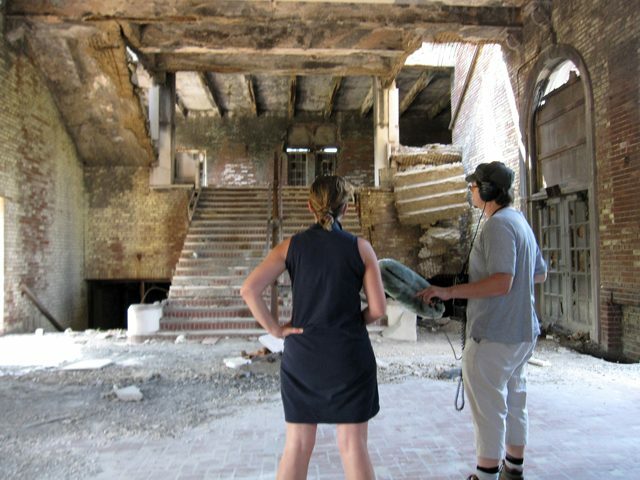 She’s interviewing people about old industrial sites, commercial buildings and homes. She’ll write stories about how these buildings could have totally new uses thirty years from now. Then, she’ll put photos and text together for art exhibits or maybe a book. 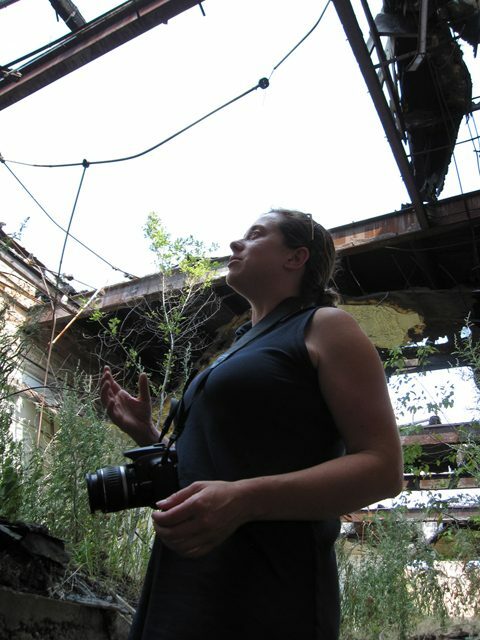 Right now, Christensen’s touring Rust Belt cities that are dealing with abandoned buildings. Gary Indiana is just one stop. Christensen got a tip about a closed building. Christensen and I meet a young man named John. He lives nearby and he tells Christensen the closed school’s kind of an open wound. But Christensen asks John, What about the future? What could it be? Christensen notes all this and takes some snapshots of the building. She’ll do this again and again in Gary and other Rust Belt towns. Christiansen says she wants to return some day – maybe with a book or photo exhibits. She wants people talking about what could happen to these places. Christensen says documentaries or art can’t solve all the problems people face with abandoned buildings but maybe it could be a good place to start.